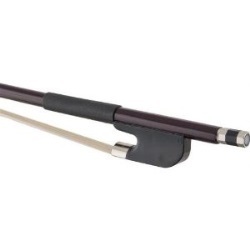 The standard in fiberglass string bass bows from Glasser. Features a round stick, half-lined frog, and leatherette grip. For 3/4 size basses. Color: Brown.